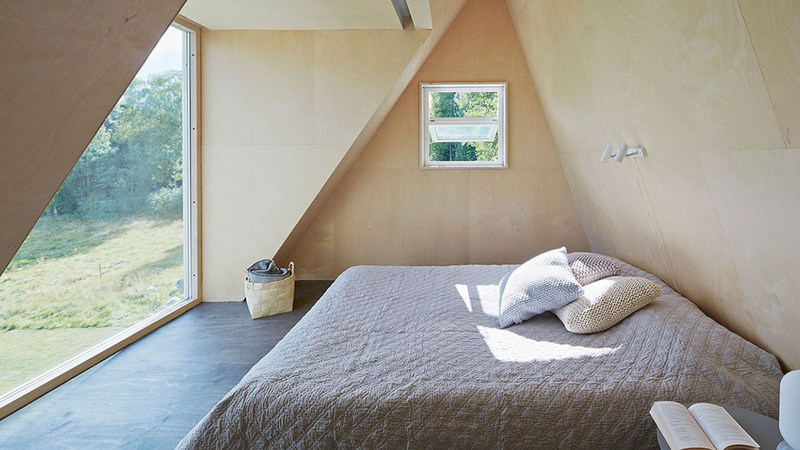 Leo Qvarsebo designs himself a triangular summer house in the Swedish countryside. 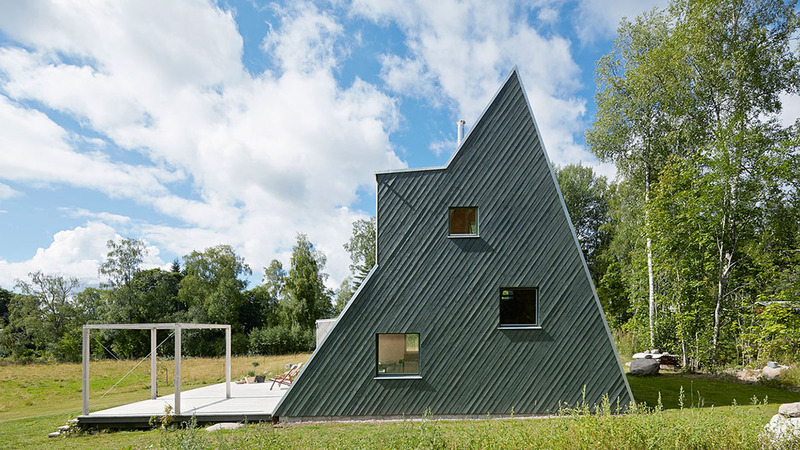 Described by the architect as being “a bit like a treehouse for adults”, this wooden house in rural Sweden boasts a triangular profile that allows the sloping facade to become a climbing wall. 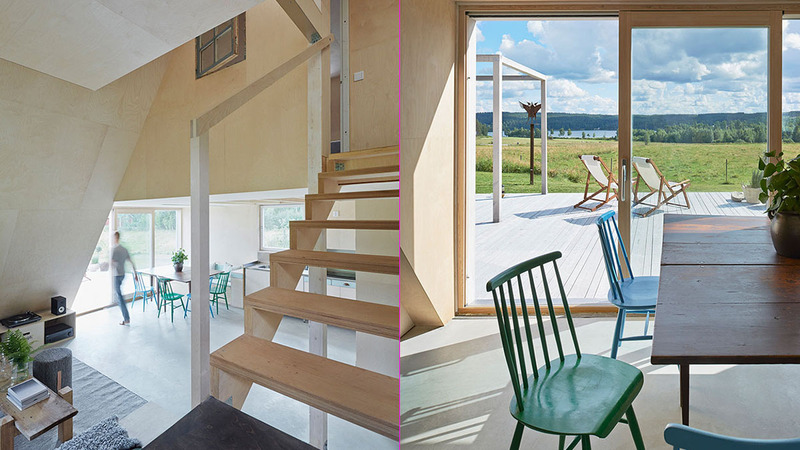 Architect Leo Qvarsebo designed the summer retreat for himself and his children. 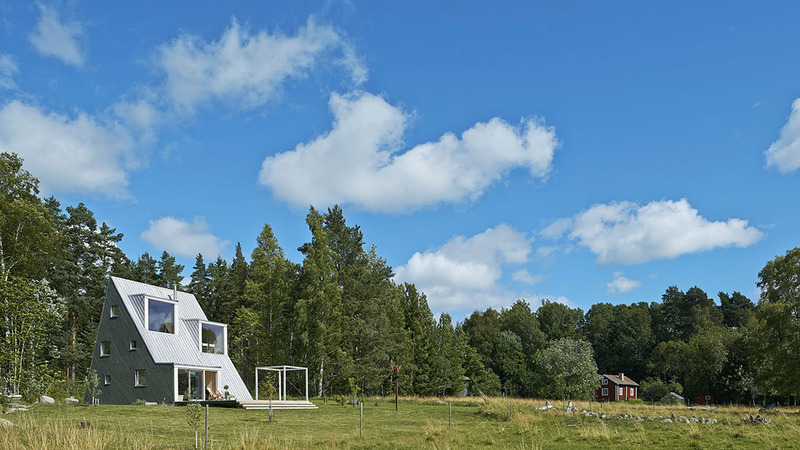 Positioned between a patch of woodland and a green pasture in Dalarna, the Qvarsebo Summerhouse was designed to make the most of its picturesque setting. 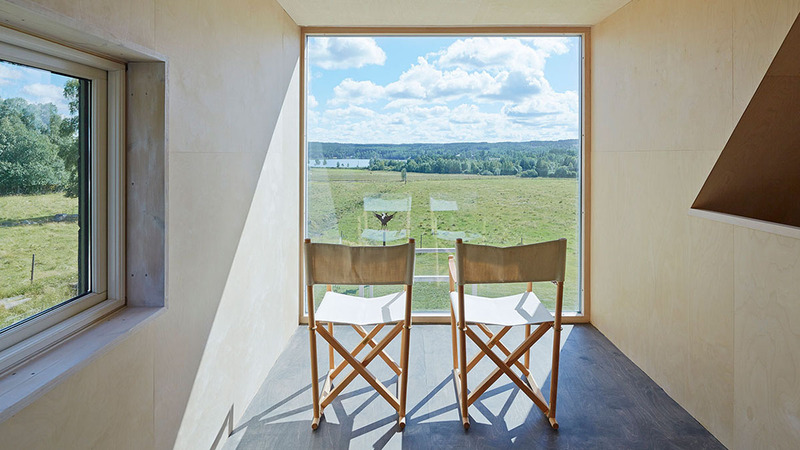 Large picture windows frame views over the landscape, while the front of the building opens out to a generous terrace featuring enough space for sun loungers and a frame for two swings. There is even a rope connected to the peak of the roof so that residents can climb up the slope of the facade. 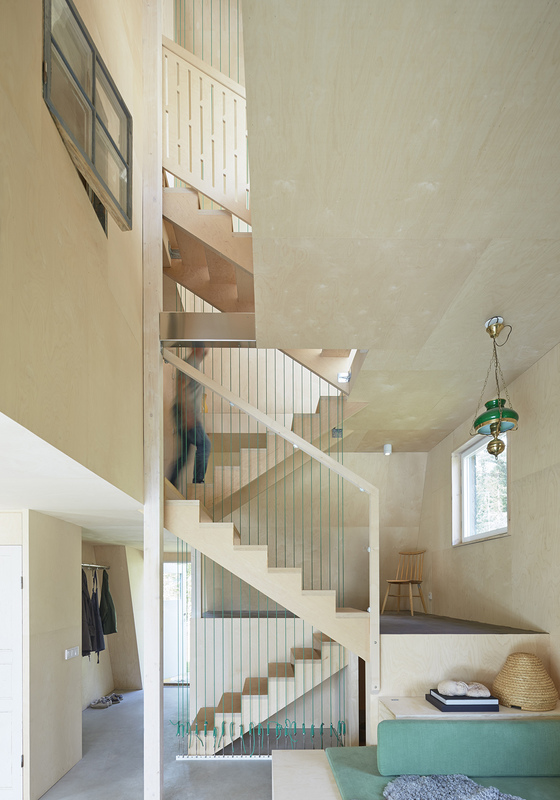 The triangular profile creates a hierarchy of spaces inside the split-level structure. 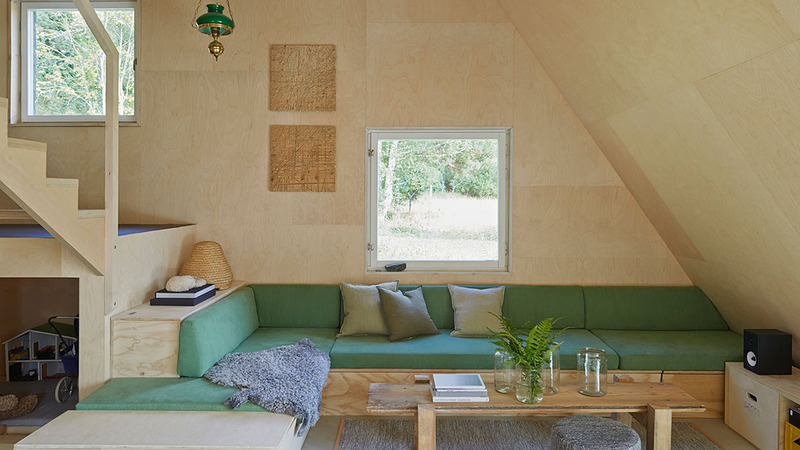 At the bottom is a spacious living room and kitchen, while rooms on the upper levels become increasingly compact and intimate.